Although there is more than a month to Halloween now is the time to start decorating and preparing! 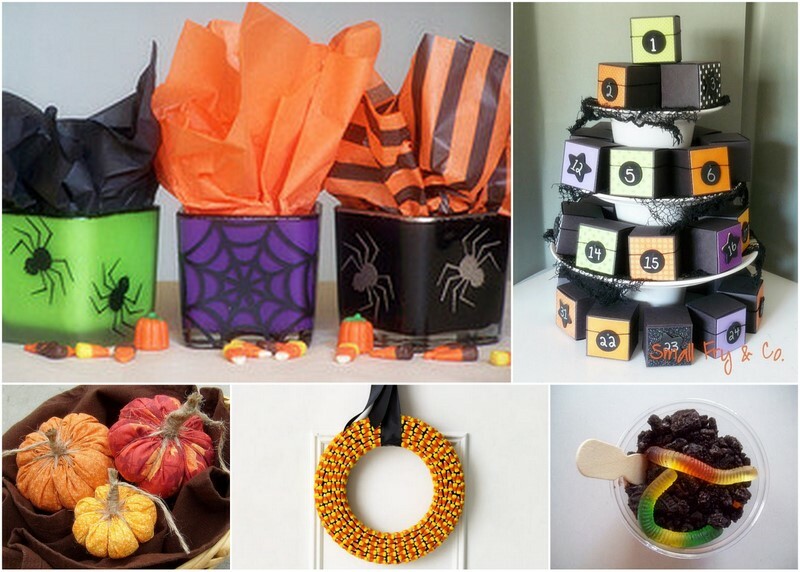 Here are 5 quick Halloween projects that will fill a rainy weekend with fun and color! I'm loving all these Halloween crafts! The first picture is so cute. That would make a cute gift for anyone filled with anything from candies to jewerly or a candle. Indeed, Sher, they could make the perfect gift! We make the "dirt cake" every Easter! Its sooooo good! Great Halloween idea too. Happier Than a Pig in Mud, nice to have you stop by! Your pumpkins are simply great!